The performance and progress of children in school is dependent on a number of factors, from the quality of the content they are being taught, the teaching methods and reinforcement of these lessons to their environment and their visceral responses to classroom surroundings. The latter dictates that it is important to build a positive environment in which children feel safe and motivated to learn. 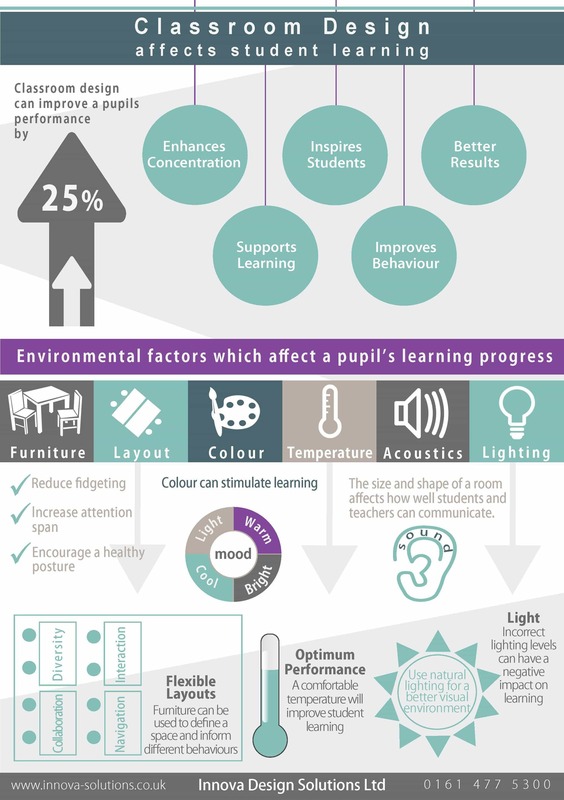 There are a range of design factors which influence learning in our classrooms. The University of Salford recently completed the first stage of research which documented the effects of classroom design upon the performance of schoolchildren. The researchers discovered classroom design could impact upon a child’s academic performance over a year by as much as 25%. By studying 34 different classrooms with differing environmental conditions, the researchers were able to determine the effects of natural light, classroom colour, classroom orientation, noise, temperature and air quality upon the academic progress of schoolchildren. Most pointedly, the research discovered that 73% of progress variation could be attributed to the environmental factors faced by the students, meaning the majority of schoolchildren are affected rather than a remote minority, consciously or unconsciously. Many school classroom designs have changed since Dickensian times where desks of students sat in rows facing a teaching aside a chalkboard. Changing technologies, curriculums and even populations should have altered the approach to classroom design over the past 130 years. Modern classroom designs should be bespoke, built to cater for the needs of the students and the objectives of the curriculum. Subjects which incorporate practical and theoretical learning such as the sciences and technologies require classrooms which are conducive to both disciplines. The installation of intelligent, intuitive classrooms which can flexibly cater for all learning disciplines will greatly benefit children, allowing them to understand the totality and purpose of the curriculum. After revolutionising how we furnish our homes, the Swedish are leading the intelligent classroom design market, building whole schools from scratch with intuitive, progressive learning at the forefront. Vittra have pioneered an approach removing physical boundaries from the school, loosely shaping classrooms around the needs of the students. 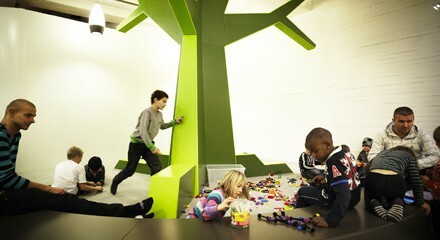 Children are organised into ability groups and allowed to approach learning creatively. Vittra are currently concentrating heavily on designing school buildings for younger children, believing this approach will help promote a long-term love of learning and building social skills. The Ørestad Gymnasium in Denmark follows a similar strategy, removing the physical walls from classrooms, allowing all students to draw inspiration from all learning groups in this high school. As approaches to parenting and curriculums continue to evolve, future generations of children should be given the opportunity to learn and grow in environments beneficial to their education and academic progress. Rather than stifling them and forcing them to complete tasks against their will, classroom design should be focussed towards encouraging a love for academia that will last long into adulthood.